Modern Player guitars deliver cool contemporary features and distinctively unconventional takes on revered Fender instruments. For those who love hot-rodded Tele® Thinline style, the Modern Player Telecaster Thinline Deluxe casts an already distinctive classic Telecaster model in a whole new light with a powerful pair of single-coil Modern Player MP-90 pickups. With other features including its lightweight semi-hollow body, skirted amp control knobs, Stratocaster® bridge and more, it's a thoroughly Modern Player for today's guitarists. 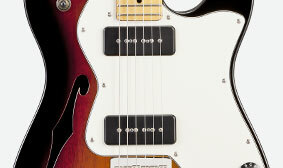 The Modern Player Telecaster Thinline Deluxe has a gorgeous semi-hollow mahogany body. 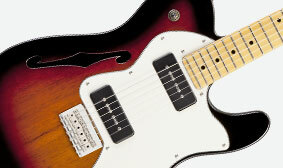 Lightweight and comfortable, it includes the classic single f hole and produces that timeless Tele Thinline resonance. 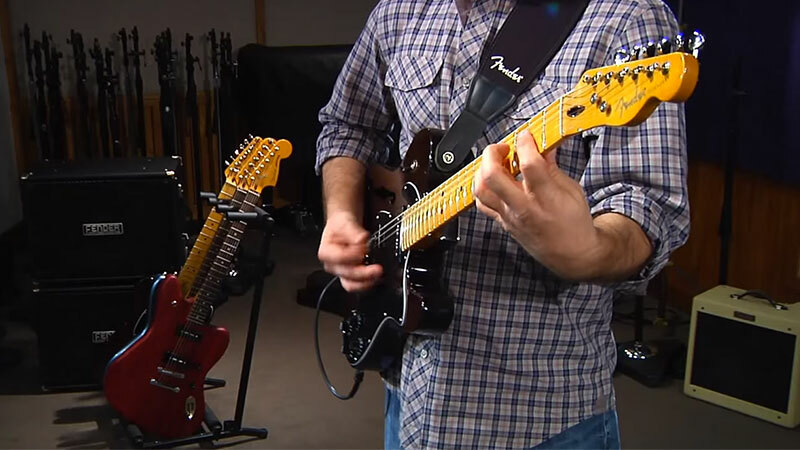 Two specially voiced MP-90 single-coil pickups contribute to the full-sounding voice of the Modern Player Telecaster Thinline Deluxe, casting an already distinctive classic Telecaster model in a whole new sonic light. 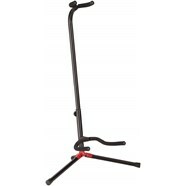 This instrument features a stylish and great-feeling modern neck with a comfortable "C" profile (the shape of the neck in cross section), smooth-playing finish and fingerboard, and convenient adjustability for periodic maintenance. 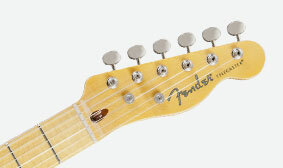 The latest in smooth Fender playability.